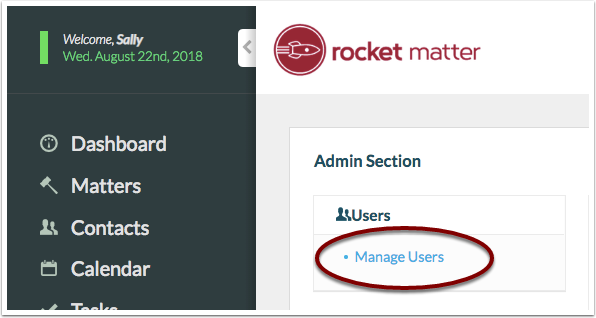 Rocket Matter Knowledge Base SettingsHow do I apply "Of Counsel" access to a User account? "Of Counsel" access is designed to provide restricted access for outside counsel, temporary collaborators, or anyone you want to give restricted access to. 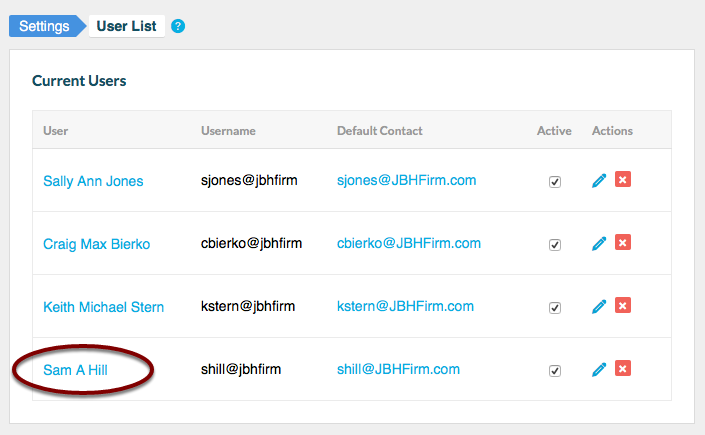 Users with “Of Counsel” permissions can add and view their own billable activity. 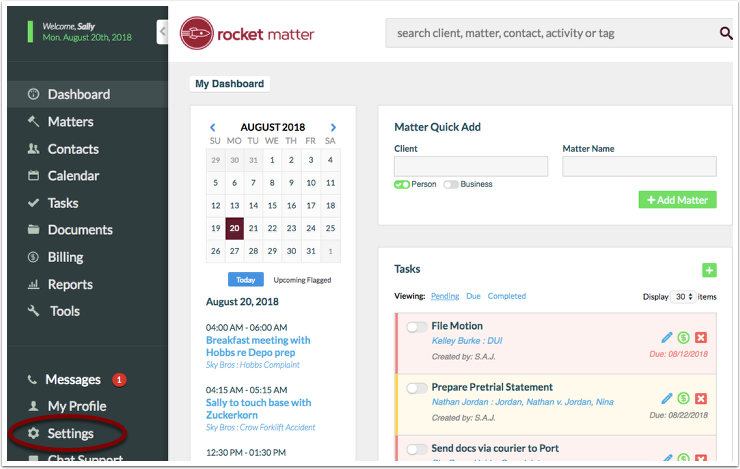 "Of Counsel" users are unable to view or edit other users’ billable activity in “Recent Billable Activity” and in the Billable Activity Report. “Of Counsel” users are also not able to view reports, apply or accept payments, or add, edit or delete Matters. 1. Click on "Settings" in the left-hand navigation panel. Note: Only an Administrator can change permissions. 3. 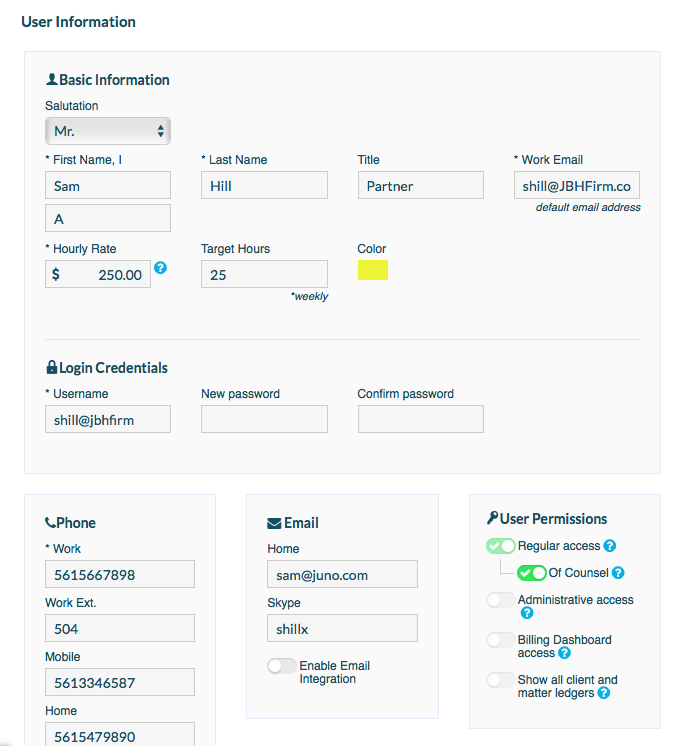 Select the User you want to apply "Of Counsel" access to. 4. Deselect 'Regular Access' and select 'Of Counsel'. 5. Scroll down, and click "OK" to save your settings. 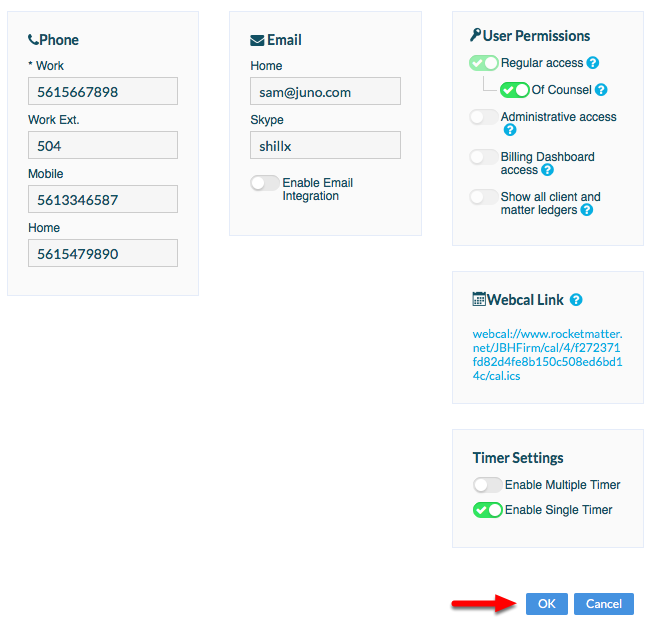 Prev: How do I set user permissions? Next: What is a tag?